Availability preferences are the days and times that you are not able or able to work during any given week. Availability preferences do not go through an approval process like time offs. 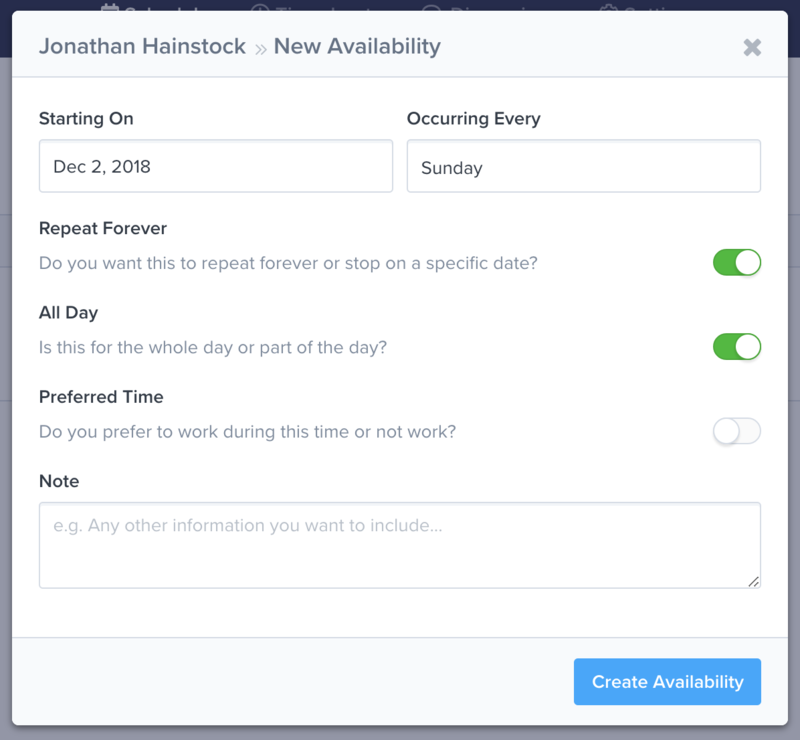 Unlike time offs, availability preferences repeat every week within the effective date range. This guide covers everything you need to know about managing your availability in ZoomShift. Note: This feature may be disabled. Supervisors can enable availability preferences from the Settings => Schedule Settings => Availability page. To add a new availability preference, click on the New button and click the Availability option. You should see a pop-up like the one below. Team Member Supervisors can select the team member. Starting On You can create a start date for your availability preference. Occurring Every Availability preferences repeat every week. Select the day of the week for this availability preference. Repeat Forever You can create an end date for your availability preference, or you can have it repeat forever. 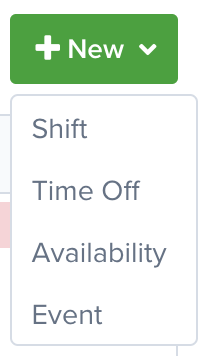 All Day & Time Fields You can select if this availability preferences is for the entire day or part of the day. Preferred Time By default, availability preferences indicate you are unavailable. To indicate you want to work, toggle this option. Note Add a note to give more information about this availability preference. Once you submit the form, you will notice that the availability preference shows up on your schedule. To edit an availability preference, click on it. You will see a pop-up like the one above. If you want to delete the availability preference you can click the Delete button located in the bottom left of the form.